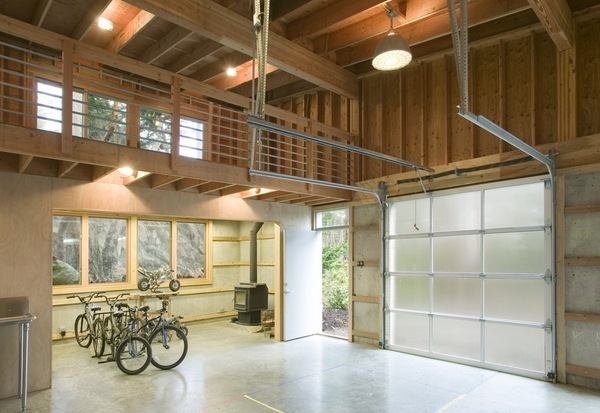 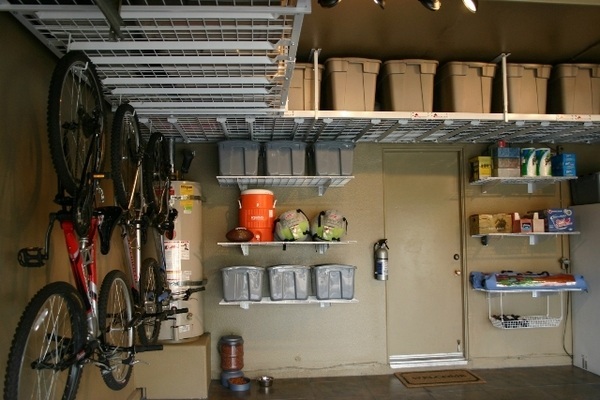 Overhead garage storage ideas and systems help us keep order and organization for all the possessions that we would not want to keep inside our home. 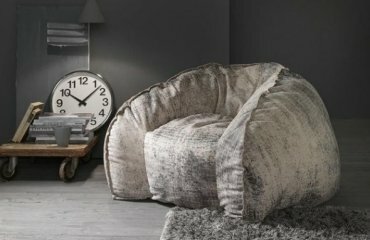 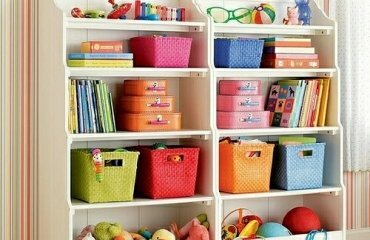 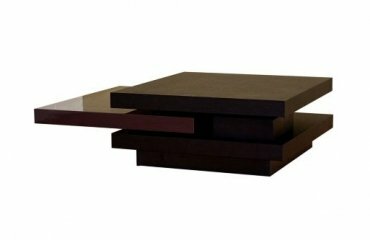 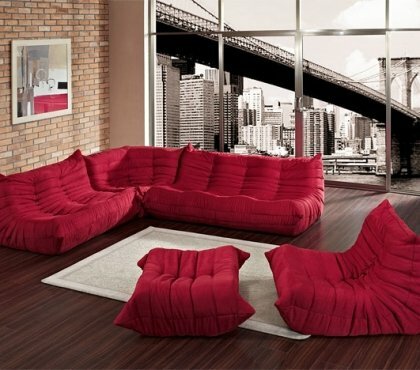 Storage space is essential as there are many items that are too big or which we do not use on a daily basis. 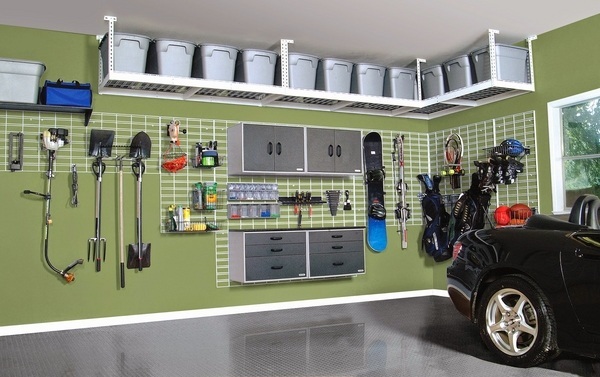 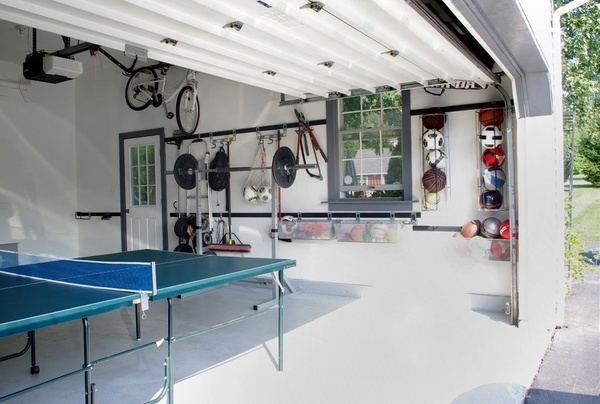 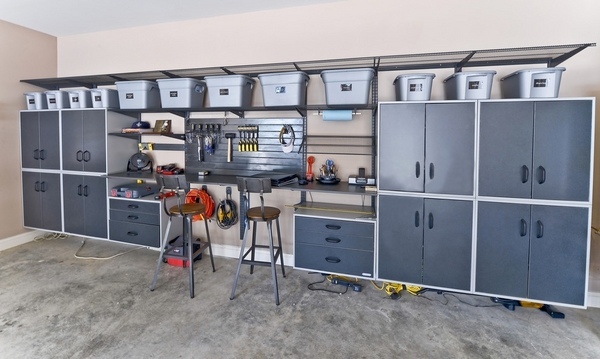 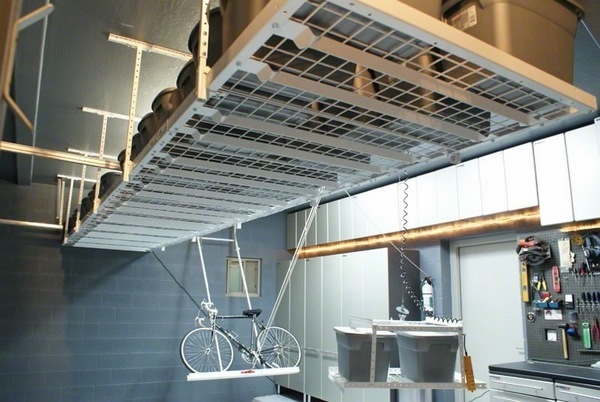 The ceiling is often overlooked as a storage solution, but it is especially useful in the garage because you do not need to consider the visual appeal. 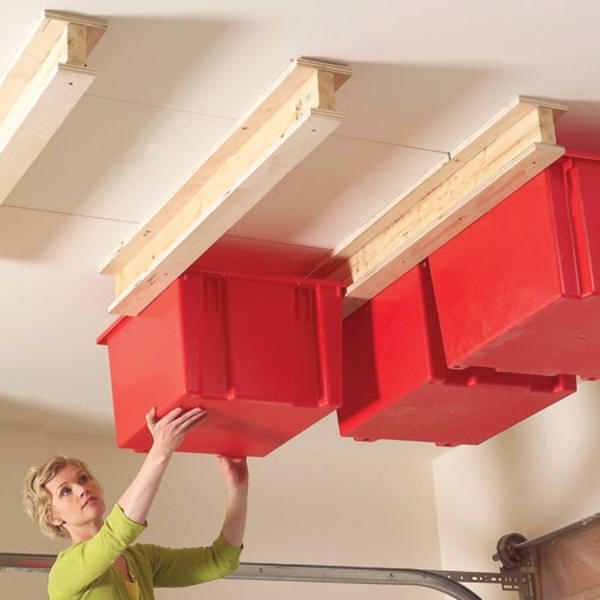 Ceiling storage is perfect for everyone who wished to have a maximum storage capability. 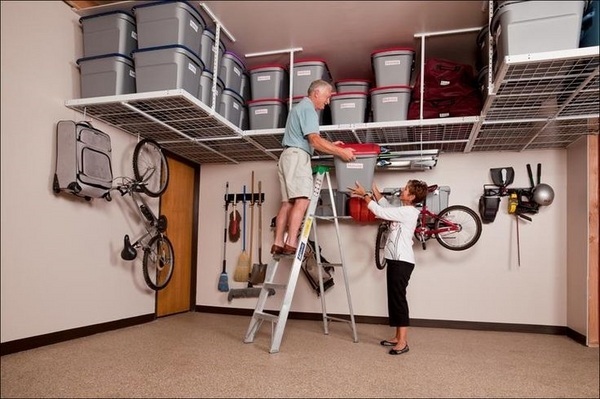 The ceiling storage systems provide the opportunity to store heavy items such as heavy tools or bulky equipment and save valuable floor space. 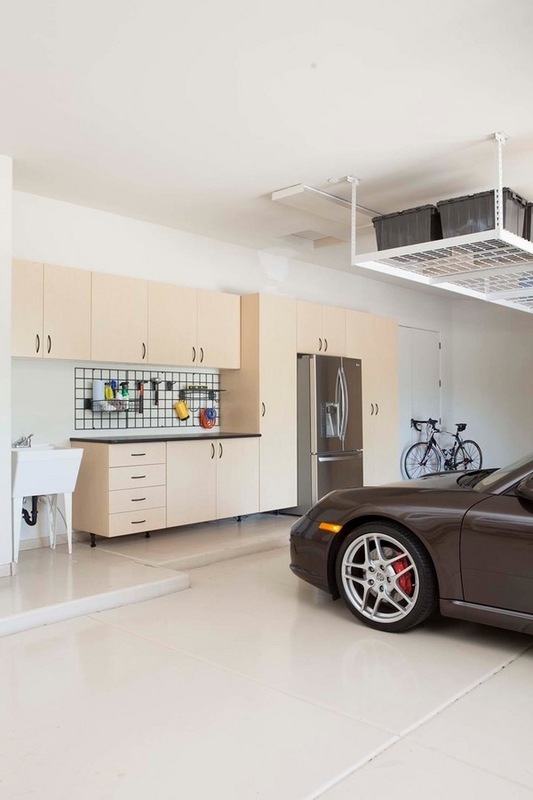 Some overhead storage systems can be combined with wall garage cabinets and as a result you will have a garage ceiling storage platform. 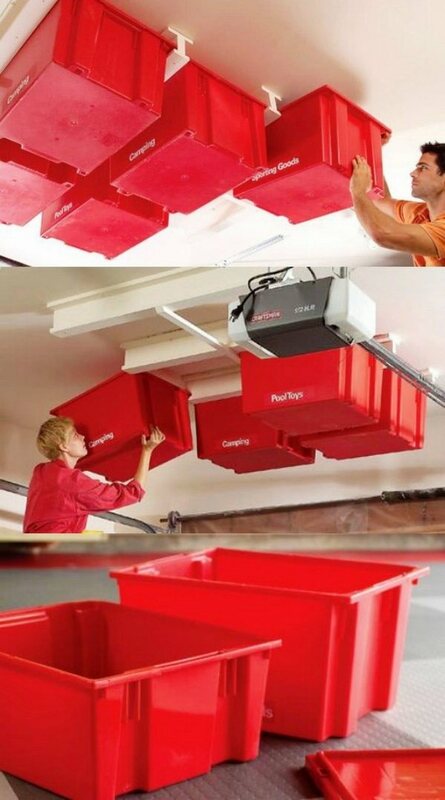 The overhead storage is the perfect solution to keep your holiday decorations so that you do not trip over them during the rest of the year. 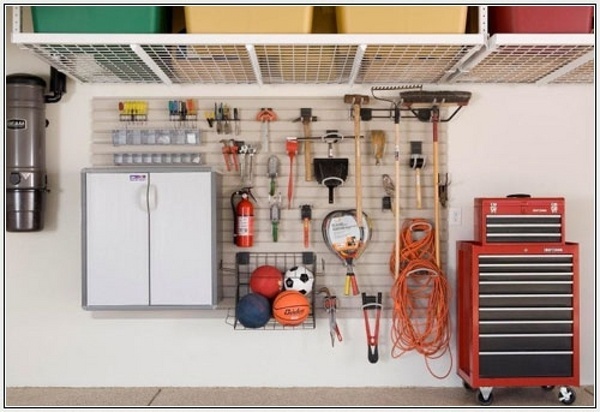 Camping equipment, power tools – all these can find their right place and will be neatly stored in the garage. 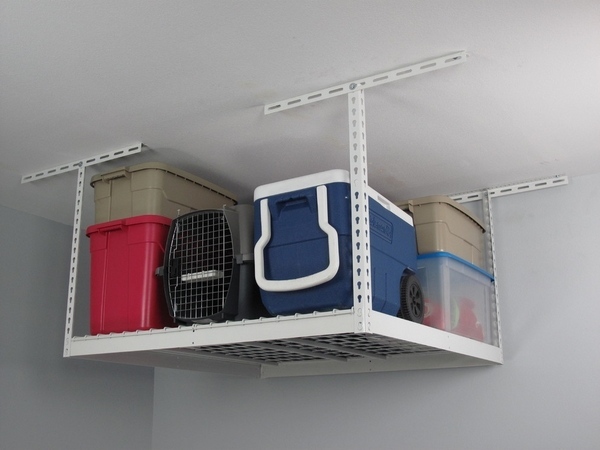 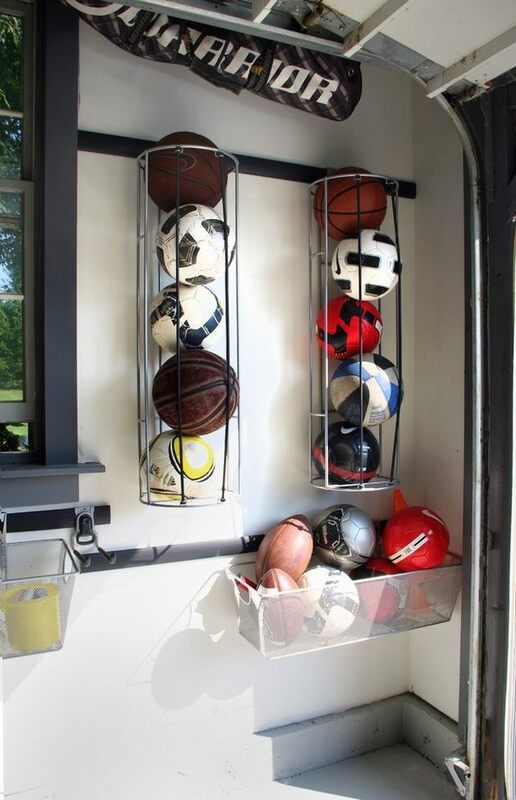 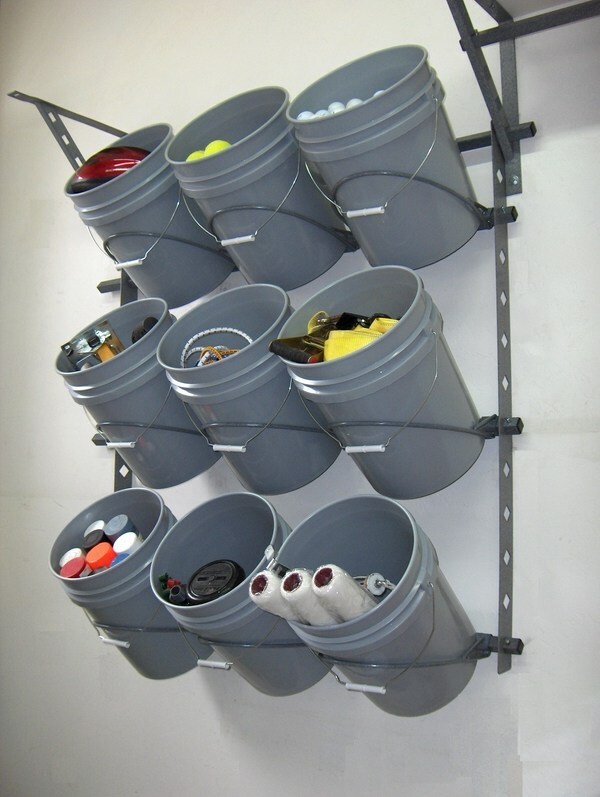 Ceiling shelves are a great alternative to wall mounted racks and an excellent idea for overhead garage storage. 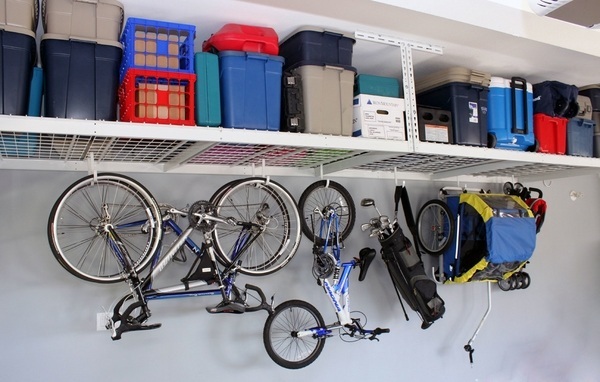 Ceiling shelves are easy to use and will accommodate boxes, tools, bicycles and whatever you need to keep away from the floor. 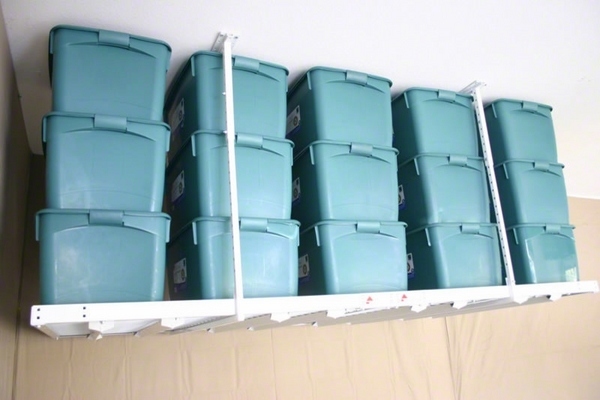 The variety of options offers simple wire shelves with extra weight capacity, adjustable, telescoping models or pulley hoist systems which allow you to lower the ceiling shelf, load it, and then raise it again. 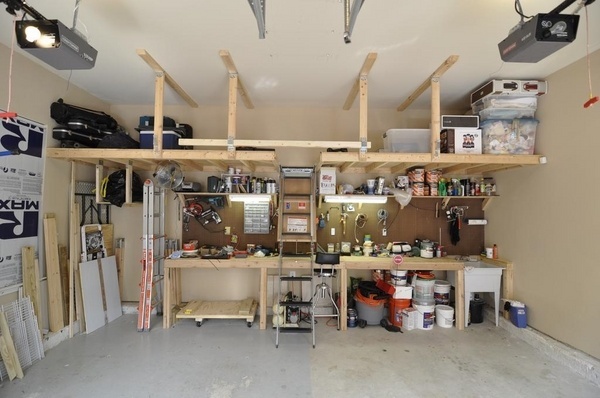 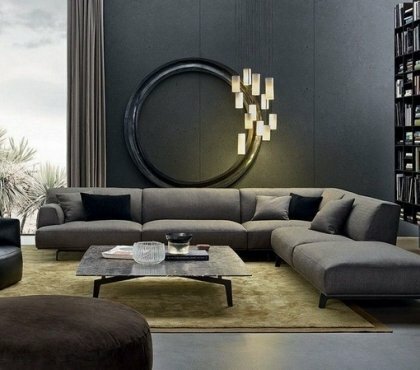 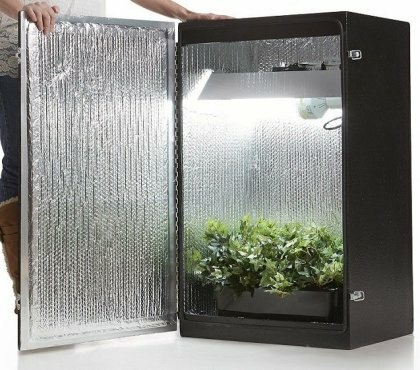 You will not need to lift heavy boxes or use a ladder to find something which you stored. 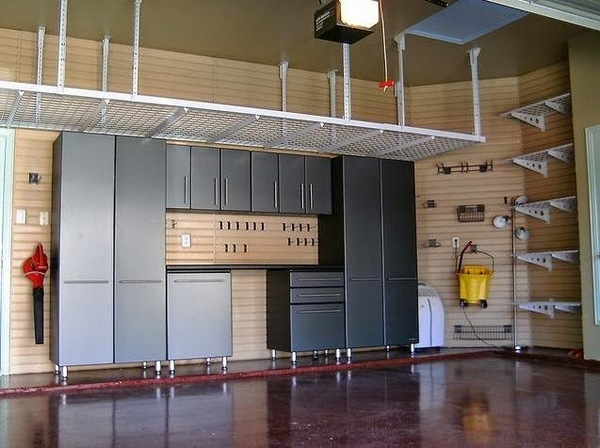 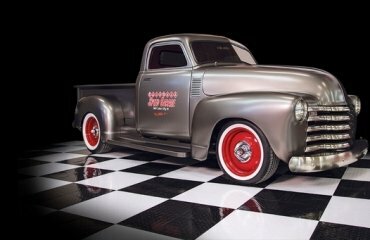 To many people the garage is the place to park a car and often its storage abilities are not utilized. 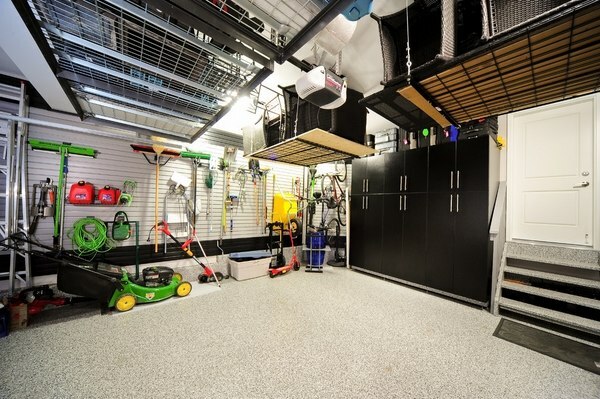 Most often you will see some kind of storage cabinets, probably some wall shelves and the space under the ceiling remains unused. 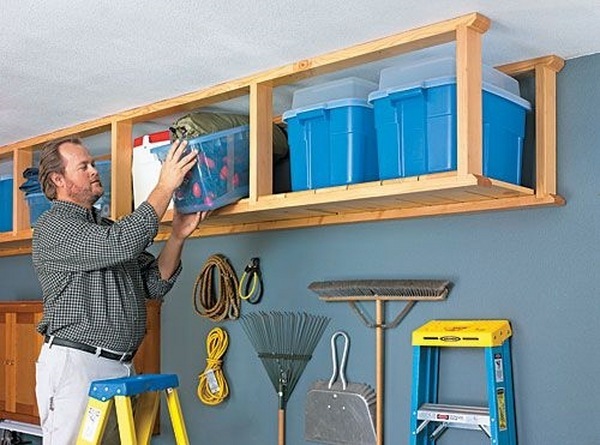 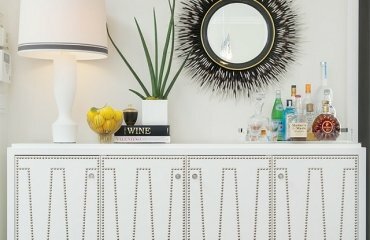 Use the space above the storage cabinets. 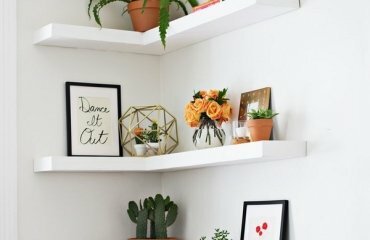 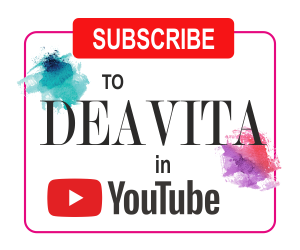 You can buy boxes that easily fit in the space in one color or different colors and this will be an easy and practical solution to help you stay organized.